For the past 10 years, in Texas, voter registration among “Anglos” has remained stagnant at 13 million while the Voter Age Population (VAP) has increased by 40% to 18.5 million during the same period. 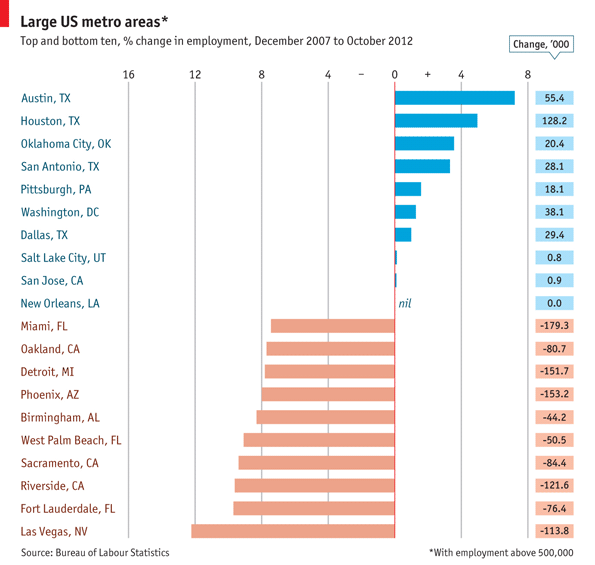 The US Census estimates that from 2000 to 2010, 92% of population growth in Texas was attributed to minorities, 84% Latino. 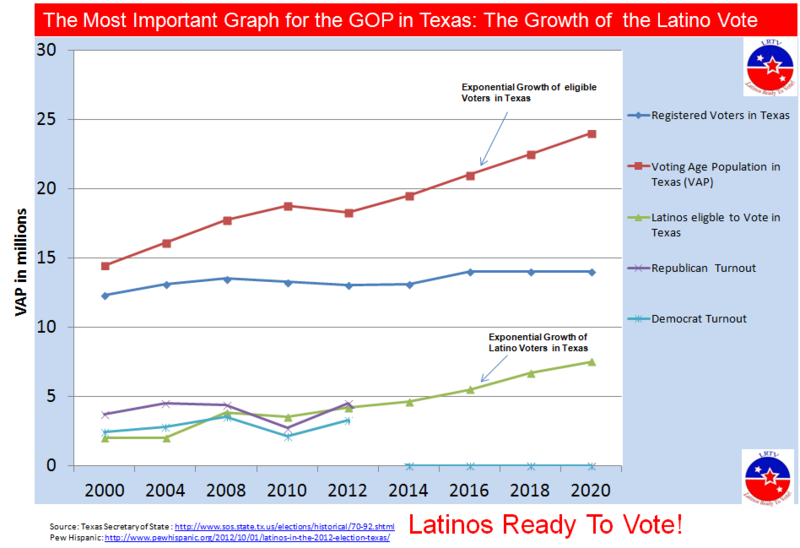 As a result, in the coming years, while the “Anglo” registration will most likely remain stagnant due to an aging “Anglo” Population, there will be an exponential growth of the VAP caused the Latino population in Texas. Currently, about 250,000 Latinos turn 18 each year in the state. At this exponential rate, Latinos will approach 5.2 million eligible voters by 2016, and 6.5 million by 2020. As a result, while Texas is still a Republican state, the turnout among Republicans has, for presidential elections, remained at 4.5 million since 2004. Whereas, the Democrat turnout is still at 3.5 million. This could change if Republicans do not reach out to Latinos in the coming years, as more Latinos turn 18 and become homeowners, build families, and thereby becoming more active in politics. 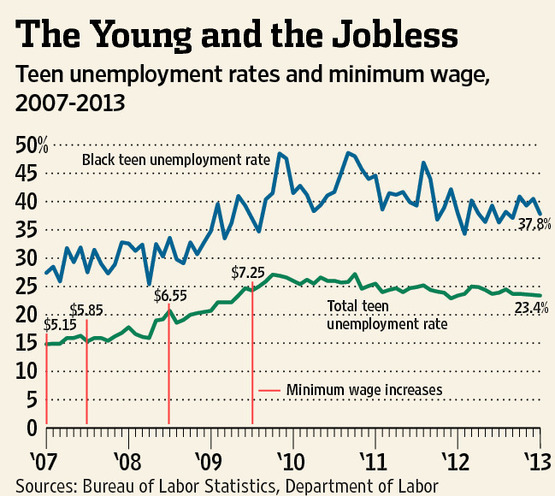 The Minority Youth Unemployment Act: Why A higher minimum wage will hurt Obama’s most loyal supporters.